TORONTO (December 3, 2018) – The Honda Indy Toronto returns to Exhibition Place, July 12-14, 2019, in downtown Toronto. Public sales for all multi-day tickets begin at 10 a.m. ET this morning at hondaindy.com or by calling 888-476-6251 for the 33rd edition of this annual festival. As announced earlier, ticket prices remain unchanged for Honda Indy Toronto run on the 2.89-kilometer, 11-turn temporary street circuit. Pricing starts at $85 for Bronze-level 2-Day Grandstand seating, $130 for Silver, and $185 for Gold. 2-Day Weekend General Admission is $55, and children 12 and under are admitted free with a ticketed adult providing an exceptional family value. Single-day tickets will be released for sale closer to the event. 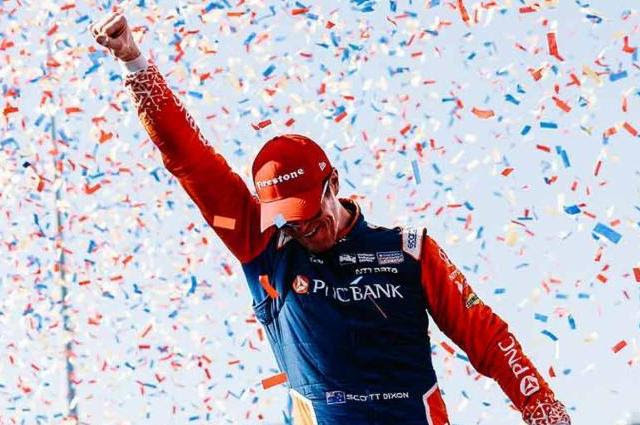 Additional items now on sale to enhance the festival-goer experience are the Meridian Champions Club, Pit and IndyCar Paddock Passes. The Meridian Champions Club is available for a limited time for $75 offering unprecedented access. The benefits include a complimentary IndyCar Series Paddock Pass which provides entrance into “the locker room of motorsports”, the pre-race grid walk, a souvenir credential with lanyard, signing the start finish line, an opportunity to win a two-seater Indy car ride on the track, and other exclusive at-event experiences to be announced. Fan Friday returns for the 10th year offering general admission on Friday, July 12, courtesy of the Ontario Honda Dealers Association through a voluntary donation by festival-goers. Honda Canada Foundation matches dollar for dollar the contributions received on the event weekend. Over $690,000 has been raised in nine years for Make-A-Wish® Canada. The Honda Indy Toronto is an event for the whole family. The Honda Indy Toronto Rookie Racers Club immerses the youngest attendees into the sport with fun experiences. Thunder Alley will be filled with numerous activities and interactive displays including the Honda SpeedZone. New and diverse food options and upgrades to the experience providing additional festival gathering points will continue for 2019. Go to hondaindy.com/holiday to find great holiday gift ideas for every price point as well as some special seasonal offers. 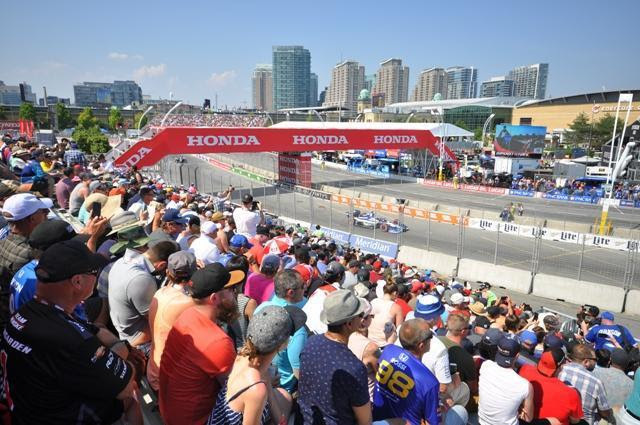 The Honda Indy Toronto serves as Round 11 on the 2019 IndyCar Series schedule. The complete weekend race and festival schedule will be released in spring 2019. For complete ticket pricing and festival information, visit hondaindy.com. Honda Indy Toronto is a world-class motorsports festival which takes place annually on a 2.89-kilometer, 11-turn temporary circuit using the streets surrounding Exhibition Place near Lake Ontario in downtown Toronto. The event features many attractions, food trucks, interactive displays and activities, and supports local charities. Fan Friday offers general admission courtesy of the Ontario Honda Dealers Association through a voluntary donation. Over $690,000 has been raised in nine years for Make-A-Wish® Canada. As one of Ontario’s largest annual sporting events with the first race held in 1986, it has become a prestigious meeting place for some of the world’s fastest race car drivers including past champions like Scott Dixon, Josef Newgarden, and Will Power as well as Canadian racing greats Scott Goodyear, James Hinchcliffe, Greg Moore, Alex Tagliani, Paul Tracy, Jacques Villeneuve, Robert Wickens, and more. Honda Indy Toronto is owned and operated by Green Savoree Racing Promotions, which also promotes three additional IndyCar races, Firestone Grand Prix of St. Petersburg (March 8-10, 2019), The Honda Indy 200 at Mid-Ohio (July 26-28, 2019) and Grand Prix of Portland (August 30-September 1, 2019).